CENTROID CNC Cylinder Head Porting Machines. 5 Axis CNC Machining Centers. Unmatched Precision, Superior CNC Porting with consistent results. 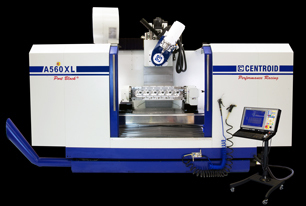 New CENTROID Engine Block Machining Centers. Blueprint Engine Blocks in one setup! Built -in Engine Block conversational software guides you thru the bluepriting process. Automatic Block digitizing. Digitize and then compare to factory blueprint data and make corrections.